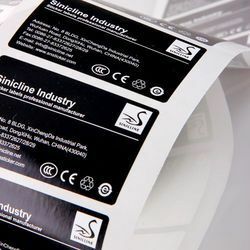 Our product range includes a wide range of labels & stickers for electrical appliances or devices. We are one of the well-trusted manufacturer, exporter, supplier, and trader of Labels and Stickers for Electrical Appliances or Devices. The offered labels and stickers for electrical appliances are very useful to define the usages of various components and parts of the appliances. Our supplied labels have high adhesion value, to remain pasted to the appliances for a long time. The offered labels are available at very cost-effective rates.